I’ve always been a word junkie. My mother read to me in utero and I told stories from the moment I could talk. I’ll never forget the day my mom showed me how to make letters, which she explained would eventually form words and then sentences and paragraphs. Clearly, I took that possibility and ran with it. I’ve always found etymology (the study of the origin of words and the way in which their meanings have changed throughout history) fascinating. My point is that I really get annoyed when people use words in the wrong way. 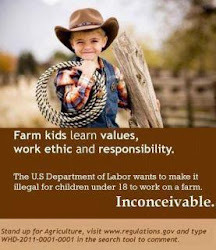 One of the most annoying instances is in agriculture. We as aggies have our own language, our own slang, and our own way of doing things. It’s never been imperative (until now) that other people understand the methods behind our madness. So now we have a bunch of uninformed (in our opinion) consumers throwing around words like “technology” and “organic” and “toxic” and we’re both on different pages of what the definitions of those words are. Unfortunately, we’ve come to a point where it won’t matter what we say, there are minds we will never change, not because they don’t believe what we’re saying, but the words we’re using have a different connotation than they used to. Example; I hate the word “organic”. It’s hard for me to say it without a scowl on my face. It literally leaves a bad taste in my mouth. Why? Because the connotation has changed. The dictionary definition of “organic” is “of, relating to, or derived from living matter”. 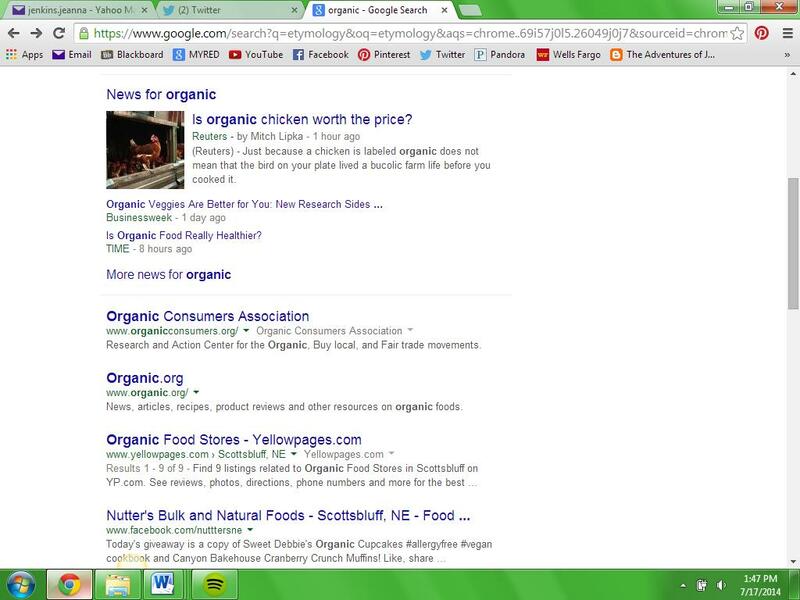 However, when I Google searched just “organic”, this list came up. What does that connotation look like to you? It looks like a fad, doesn’t it? Maybe a culture? It's definitely not anything to do with chemistry or biology. To me, it brings to mind a picture of a long-haired hippie selling bead bracelets at a farmer’s market. But seriously. When I read the comments from members of this community, I see a group of concerned, albeit self-righteous, citizens that have completely twisted the meaning of something totally unrelated into a mantra of superiority. I’ve mentioned before that my family never had money running out of their ears. One of the ways we stayed afloat was by pinching pennies at the grocery store, and that was by staying away from “name brand” products. “Off brand” products were usually cheaper, because the companies don’t bother to spend money on advertising; they let the lower price sell the product for them. I grew up on “brands” like SureFine and Malt O’ Meal. On the rare occasion that Tony the Tiger’s cornflakes were cheaper than the blue kangaroo’s on the front of the Malt O’ Meal jumbo bag, we did get them. But guess what? They were no different. In a way, that’s how I feel organic produce, grains and whatever else hold up against conventional methods of raising them. 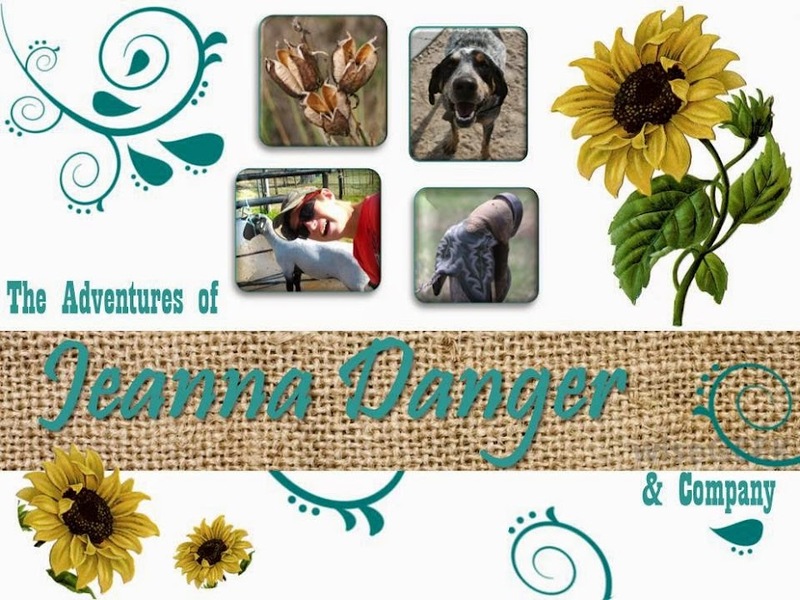 There’s nothing different about the product (check out this girl’s awesome, unbiased, non-ag background blog on the myths behind organic farming), so organic growers have to find a way to differentiate it so that it will sell. It seems they’ve chosen to do that by adding negative connotations to words like “conventional”, and “technology” and “corporation” to make it seem like their product is better. They’ve tacked on buzzwords like “environmental” and “sustainable” so you feel better about yourself when you buy it. It’s a genius marketing strategy, but how honest is it? Returning to a previous point; I feel like organic growers are extremely self-righteous. My grandfather was a wheat and milo farmer in the Texas Panhandle. If you’ve ever been there, you can only imagine how hard it is to farm there. It’s hot, windy and it never rains. It’s like a friggin desert. But Papa was determined to make a living at it, while preserving and being a steward of the land. He was one of the first farmers to use no-till methods, and implemented many crop-rotation and careful fertilization practices. He grazed cattle on his residues (leftover stalks after the crop was harvested) to get the most out of his yields. His neighbors looked at him like he was crazy, but now almost everybody uses some form of conservation practice that is unique to their geography and crop rotation. Why? Because it makes sense and it works. Duh. If you ask an organic farmer what they want, they list many of these things; they want to get away from monocultures, they want judicious chemical use and they want to be conservative. But they act like they’re the only ones entitled to using those practices. “Conventional” farmers like my Papa have been using methods like that for decades. 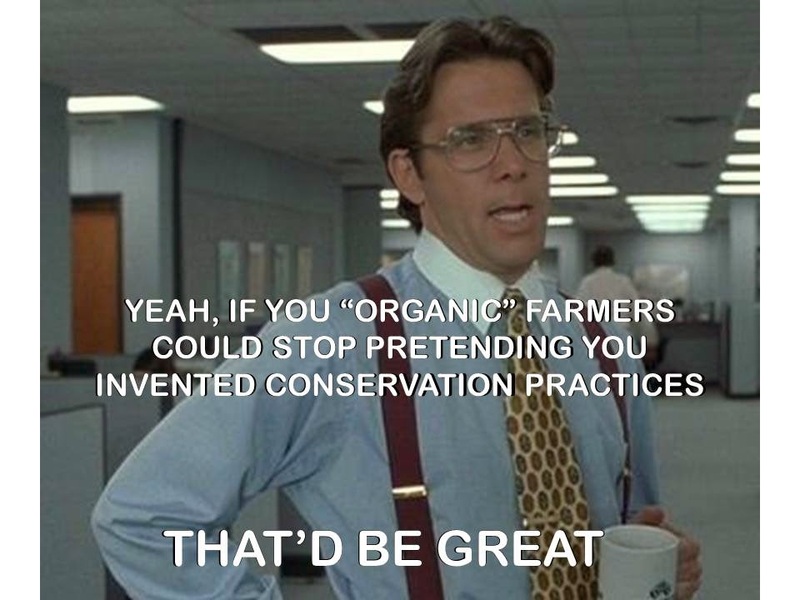 Yes, having an "organic" mindset about your production practices is "better". Which is assuming we're using the connotation/definition that's been slapped on it, which is that it's a sustainable, conservative practice of producing safe and healthy food, and assuming that "conventional" is the exact opposite. That's not the truth at all, so clearly there's some communication that's not happening. So if this post is offensive to you, you're the person I'm talking to. My intent is that open and honest communication (such as me admitting that you kinda tick me off and I'm very offended by what I've indicated you are insinuating) can lead the way to a more productive future. So thanks for listening! The Adventures of Dairy Carrie... I think I Need a Drink! Humans of Agriculture- Ed’s Story.